This update will bring you up-to-date with the current progress WME is making in terms of members count and posting activities. For comparison purpose, data from 2007 to 2008 was added alongside. 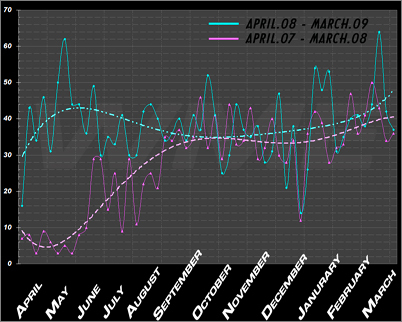 Both set of data were taken from April to March on a weekly basis. 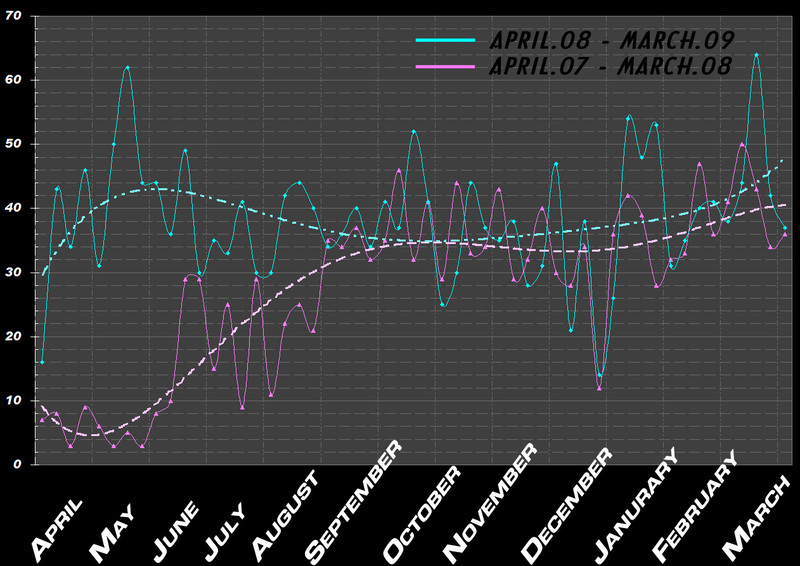 Trend lines were also added to the graphs for simplified viewing. WME has been growing steadily since mid 2007. 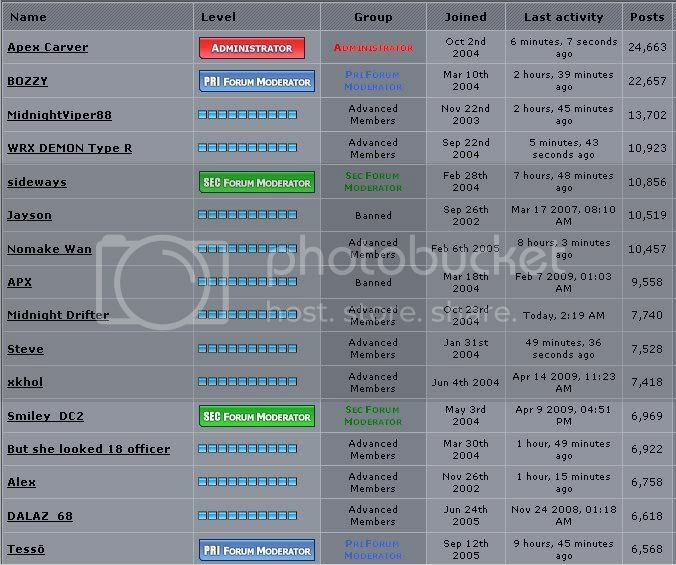 From 10 new members per week to 35 new members toward the end of 2008. One interesting fact is there seemed to be a big dip in new members in both December 2007 and 2008. I believe that is the Christmas / New Year long weekend. As far as posting activities go, we've seen a much bigger increase in 2008 compare to 2007. Posts per week has increased at least 3 times. 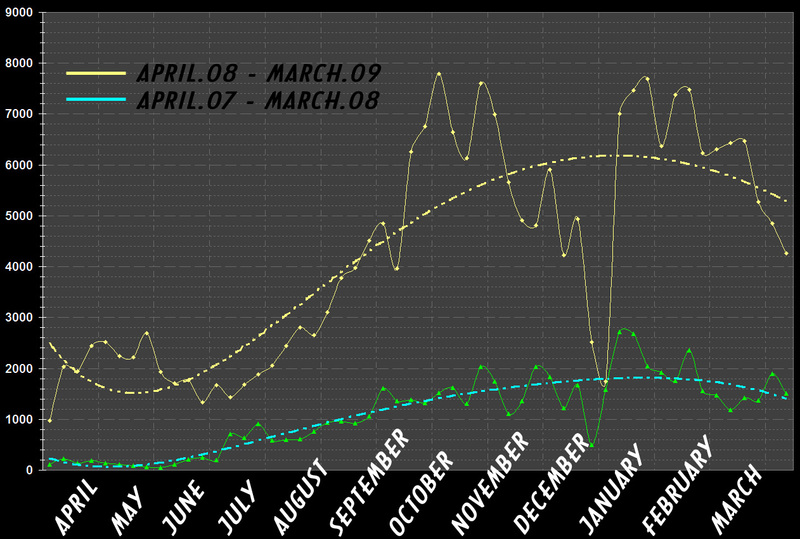 From roughly 1000 posts weekly toward the end of 2007 to as high as 7000+ posts weekly toward the end 2008. It is also worth mention that we had a huge dip in both December as well. Posting activities almost grind to a halt around December in both 2007 and 2008. 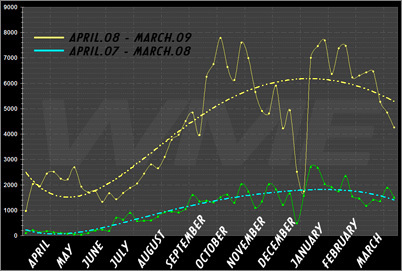 The number of posts per week really started increase beginning June 2008. I believe that is when summer started. Since when does join date have anything to do with posts? I joined before the lot of you cept E86. When god said "Let there be WME", he was the guy standing next to him who said K and got typing. Us new gens are a crazy lot. Can't get off the internet. Geo and Dare for EXILE!!!! It's amazing how you guys keep on getting another 1,000 posts every month. I wonder when they will surpass the top two posters on IDW, individually? I'm guessing, at this rate, between mid to late 2009. Dare's PPD is 36.3; Geo's PPD is 36.5. Geo past Dare on the post count. I can still remember when I had the most posts on this forum for a good 6 months, and even then I only had about 400+ posts lol. Then Hara banned me for "posting too much", so even after my 2 month ban was over I didnt return to the site for a while and by the time I did it was WAY more active and DARE and GEO were well ahead in their posting game..
Sure took your time to realise. Jokes. I remembered getting banned for flamming... and being horrible at it. Stayed banned for six months. Got tired of IDW and asked Perry to unban me. He considered it, and unbanned me with a 67% warning. Took me a while to put it down to 0%. I appreciate the mods only giving me verbal warnings and not actual warnings, preventing a reban. I'm sure that won't happen, again.